The Habitat III Policy Papers were officially handed over to the Secretary-General of the Conference, Dr. Joan Clos, and the Bureau of the Preparatory Committee, during the Habitat III Europe Regional Meeting in Prague by a representation of the Policy Unit co-leaders and experts. Dr. Joan Clos thanked the co-leading organizations of the Policy Units for their dedicated work and support, and commended the experts of all 10 Policy Units for their tireless efforts, knowledge, and the expertise they demonstrated in finalizing the Policy Papers. He made note of the Policy Units’ involvement in the Habitat III process as a benchmark of inclusion in the history of Habitat conferences, stating how this was the first time that the formation of and such extensive consultation with experts outside the United Nations system took place. “We believe this sets a great precedent for future conferences to be informed by independent expert knowledge,” he stated. The Co-chair of the Bureau of the Preparatory Committee, Ms. Maryse Gautier, also commended the Policy Unit representatives, remarking that despite the completion and submission of the Policy Papers, the Policy Units would continue to contribute to the next stages of the Habitat III process, with their feedback and the Policy Papers actively resonating throughout the development of the outcome document that would ultimately articulate the New Urban Agenda at the Habitat III Conference. Though the Policy Units covered different thematic areas, many of them were clearly interlinked. The key messages covered a wide diversity in terms of priorities and recommendations, but also covered a lot of common ground. Some of the key messages that ran through many of the Policy Units indicated the need for smart data as a tool to design and appraise policy, the aspiration for cities to harmoniously accommodate disaggregated and diverse needs (economic, cultural, social) while precluding social segregation, and the paradigm shift that entails cities to be “people-centric” and, consequently, cities that benefit everyone in equal measure. 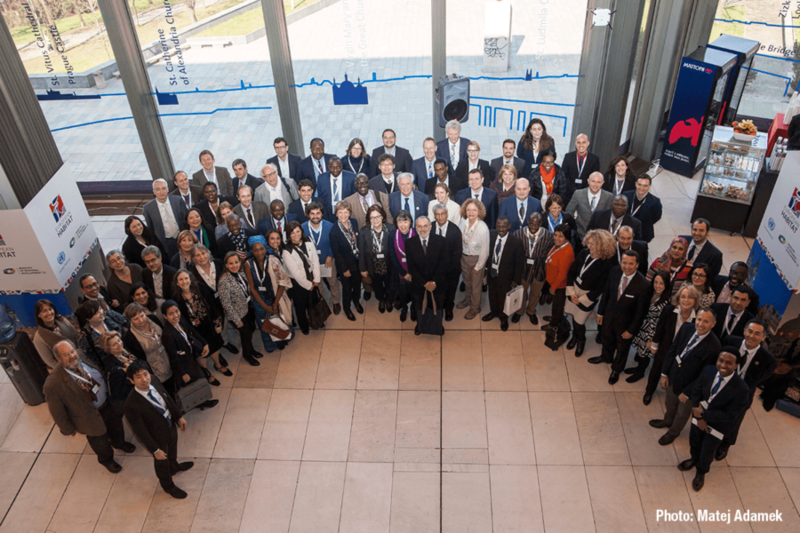 The Habitat III Policy Units were formed to identify challenges (including structural and policy constraints) to the New Urban Agenda, to identify policy priorities and critical issues for the implementation of the New Urban Agenda, and to develop action-oriented recommendations for the implementation of the New Urban Agenda. The Policy Papers are official inputs for the preparations of the Habitat III zero draft outcome document to be adopted by the Habitat III Conference in Quito, Ecuador, in October 2016 . Each Policy Unit was led by two organizations and composed of a maximum of 20 experts, each nominated by member states and stakeholders from all regions and different backgrounds. The experts represent various constituent groups and stakeholders, and their selection was guided by geographical and gender balance, as well as qualitative criteria in terms of contribution to the Habitat III preparatory process.